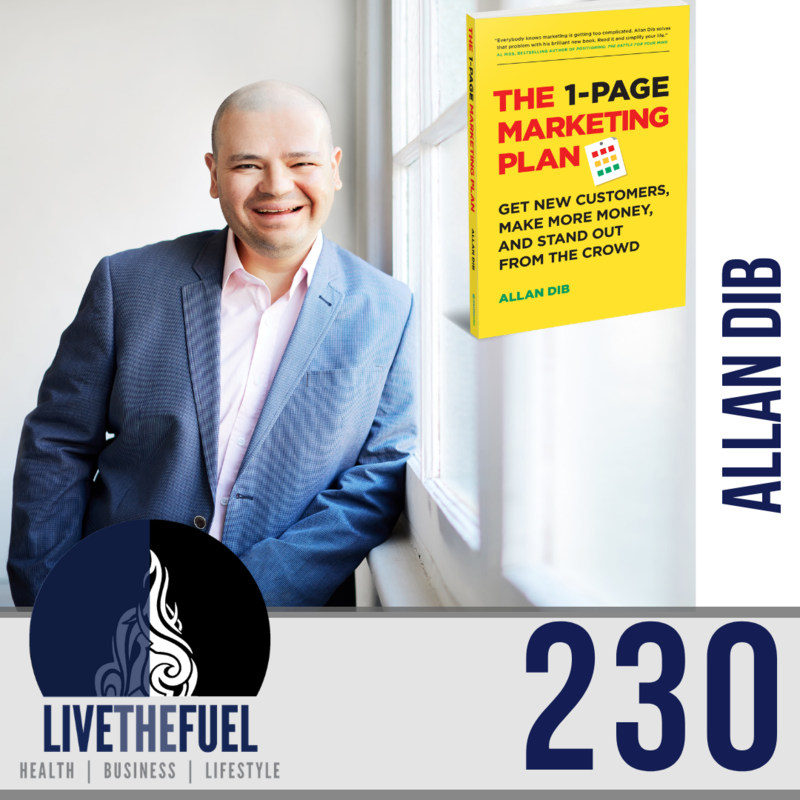 Allan Dib has made it his life’s work to provide a framework for marketing small businesses. He’s proof that you don’t need a degree from a fancy university to become a highly-successful entrepreneur and sought-after business coach. You simply need to know how to consistently market your business better than your competitors. Through his lively and engaging discussions, Allan demonstrates how to take your business from just getting by to growing exponentially. Allan’s speaking focusses on how to formulate a marketing plan that attracts and retains new customers, and how to leverage technology to grow your business rapidly. 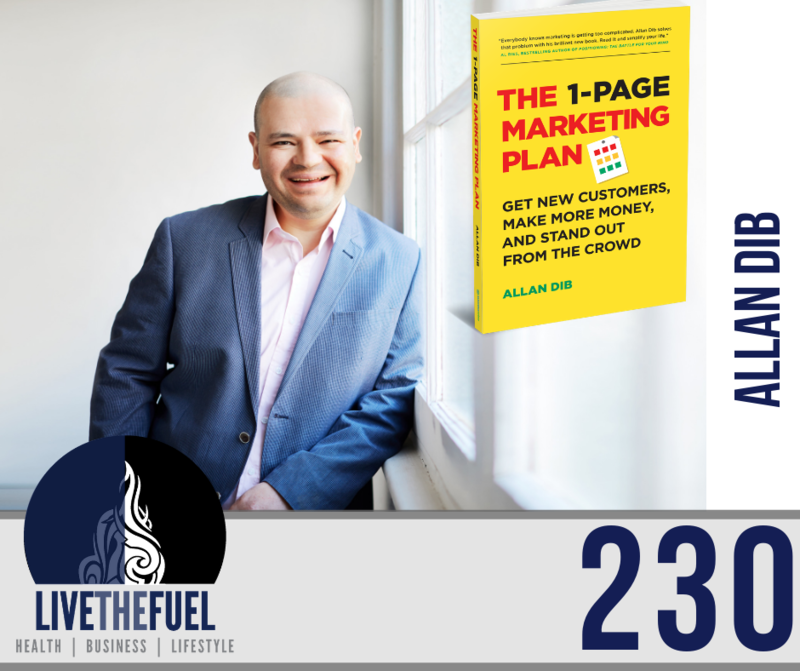 Allan is the bestselling author of The 1-Page Marketing Plan: Get New Customers, Make More Money And Stand Out From The Crowd. An international success, his debut is Amazon’s #1 marketing book. It’s sold over 100,000 copies and (currently) has more than 700 5-star reviews. Through his online mentorship program and inner circle mailing list he’s helped to motivate and inspire small businesses across the globe to achieve success. Not only did his start-up in the hyper-competitive telecommunications industry earn him a coveted spot in Australia’s Business Review Weekly 100 Fast list, but he’s also been featured in Huffington Post, Medium and Inc., as well as on numerous business-focused podcasts, publications and conferences. [06:20] Schooling, education and the role of being a great employee vs what it takes to learn and become an entrepreneur. [10:55] Coaching clients and trying to get them to write a marketing plan was easier said than done. [22:05] Allan defines what a brand truly should be defined as. [25:45] Remember the old Apple ad campaign, I’m a Mac, I’m a PC? [31:25] Allan is relaunching his new podcast. [43:45] Cleanup campaigns, oops my bad. It’s important your entire team knows your values and what you stand for. [47:55] Make your support proactive rather than reactive. The best marketer wins every time. A lot of the time we focus on delivery a great product or a great service, and that’s awesome! That’s a customer retention tool. Before we think about customer retention, we have to think about customer acquisition. People only know how good you are once they’ve bought from you. Before they have bought from you, they only know how good your marketing is. So the best marketer wins, every time. Resolve to become a great marketer.